Be Humble (vv. 15-16) – Humility can be rare commodity in the workplace. But you can change that. Paul’s desire for all Christians is that they be humble, and especially at work. He wants Christians to be humble by “Rejoicing with those who rejoice and weeping with those who weep.” In addition he says be humble by associating with humble people and by not thinking you have all the answers all the time. The truly successful Christian knows that in order to rise up one must be humble..
Be Peaceable (vv. 17-20) – Let’s just face it, office politics is just a way of life in most workplaces. It is amazing that anybody can get any work done for all the bickering, jockeying, and infighting that goes along with office politics. What is Paul’s advice for avoiding office politics? Be peaceable. The workplace is a place to work not war. This is why Paul said, “Repay no one evil for evil,” and “as much as depends on you, [work] peaceably with all men.” While we are not responsible for other’s actions, we are responsible for our own. And if we are going to be successful Christians at work we will need to seek to be peaceable with those we work with..
Be Vigilant (v. 21) – The workplace is fraught with dangers for the Christian to be overcome by evil. It could come in the form of material success which chokes out the Word. It could come in the form of a forbidden relationship that steals not only the heart but the soul as well. It could be something as simple as pilfering the supply closet, or as serious as embezzlement. Around every corner is a trap that Satan has set to try to overtake us. 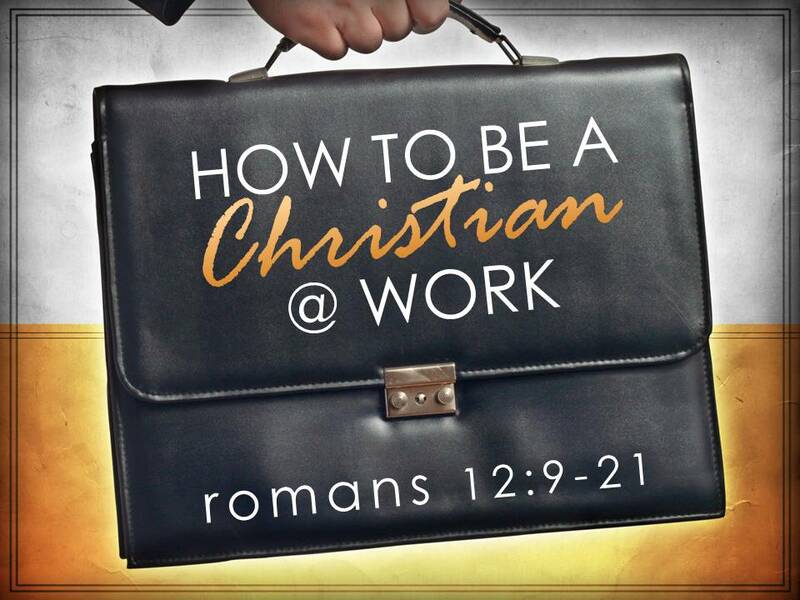 Paul wants us to know that the successful Christian will be vigilant in the workplace. Always watchful for her soul. Ever mindful of temptations. Constantly seeking to overcome Satan’s evil with God’s goodness..
Paul’s seven insights, if taken to heart, will make us not only better employee but also successful Christians who serves as a shining light for God in our workplaces.